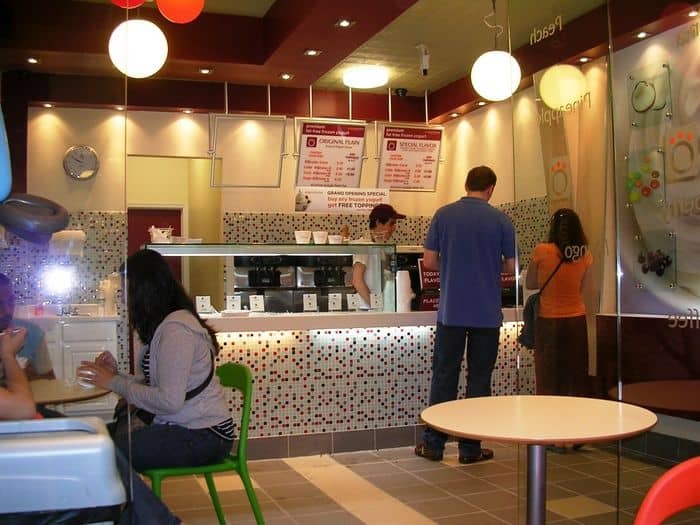 To meet the demands of summer consumers, eateries of every cuisine bloom like cherry blossoms all around the vicinity of Continental Avenue and Queens Boulevard in Forest Hills, New York. 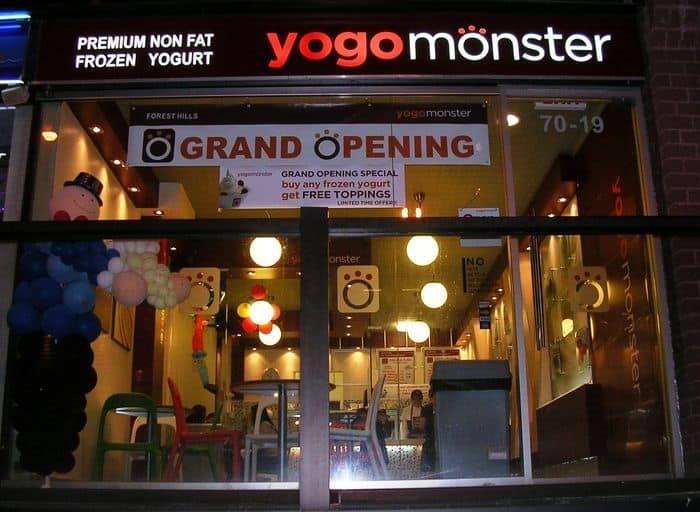 And while cake and ice cream tempt the eye at every turn, the Grand Opening of YogoMonster on Austin Street turns one “simple” treat into an “exciting” dessert. 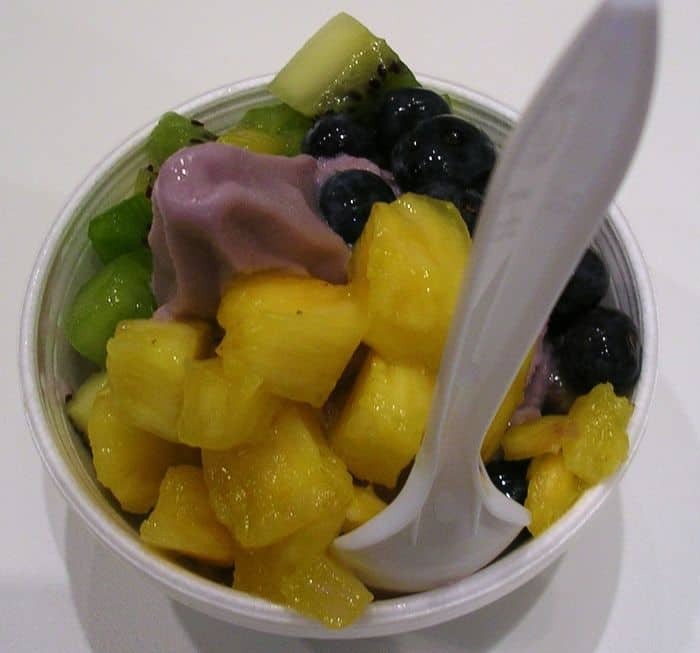 Blueberry Frozen Yogurt topped with fresh blueberries, kiwi and pineapple speaks for itself. This Frozen Yogurt has just the right ZING to set off an avalanche of flavor from fresh toppings such as blueberries, kiwi, pineapple, mango and more. Manager Dong Guy Yoon piles fruit, nuts and other delights around your choice of non-fat yogurt for a refreshing and guiltless fiesta. So when you finish dinner or leave the theatre, whatever you’re doing, get back to the basics and save room for dessert.